Do you want to channel your inner gypsy? Here's how you can make your room into a relaxing bohemian sanctuary. 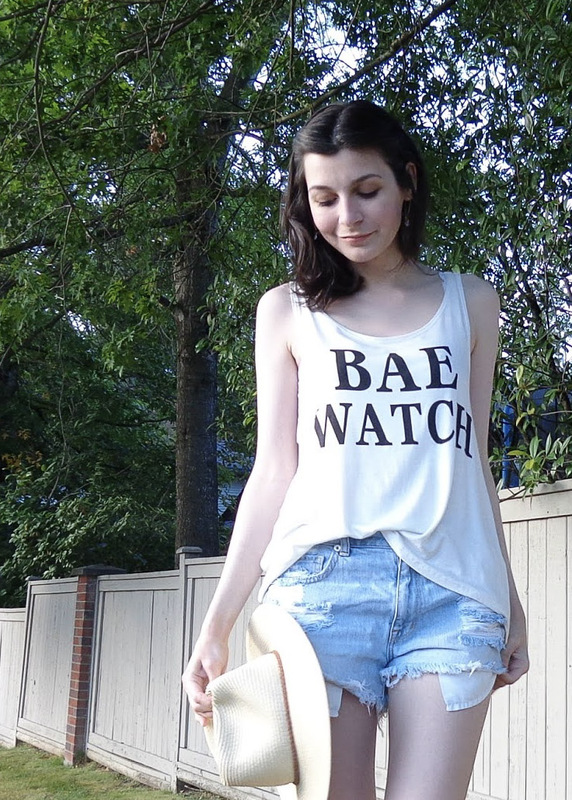 Note: I'll also be sharing my favourite UO picks, but this post is not sponsored. 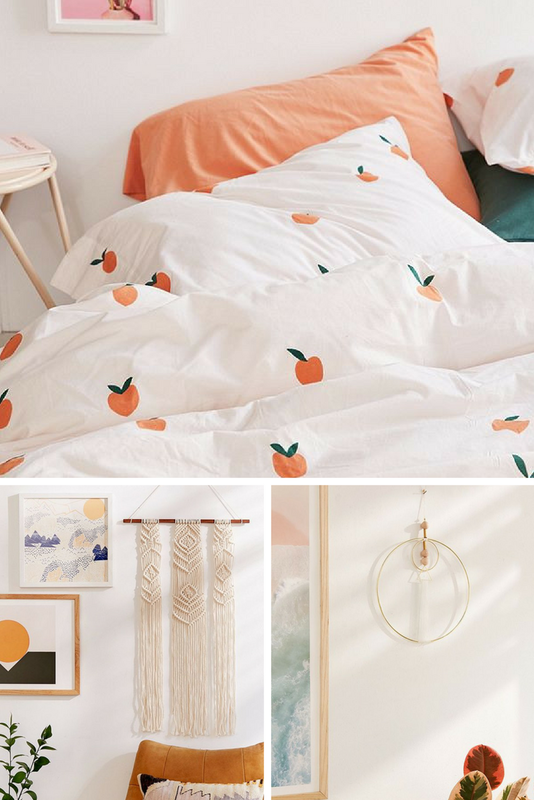 Textiles are an important first step to any bedroom decor. Whenever I redecorate, I like to choose my comforter set first, and build the rest of the room's look around it. For a boho room, look for comforters with bold patterns and interesting motifs. Don't be afraid to mix patterns and colour palettes; a boho bedroom does not "match". I personally love rich jewel tones for bohemian flair. Bohemians are all about nature! If you have to be indoors, you can at least bring some of the outside in with you. Hanging planters, natural crystals, and salt lamps all add a wonderful hint of the natural elements and give the room life. Opt for soft, natural lighting. Velvet is definitely my favourite trend this season. Velvet throws and pillows add a great touch of luxury and give your room an effortlessly-cool vibe, a la 1970s. Above all, the bohemian bedroom is comfortable and laid back, so casual seating is a must. Offer your guests big, comfortable floor cushions for the perfect spot to hang out and relax. Hanging textiles add such a dramatic, whimsical air to a bedroom. Use gauzy curtains or tapestries as a canopy over your bed, or hang them in a corner to create a cozy reading nook. In five steps, you'll have created the ultimate bohemian hideaway! Ohh I love this post! Totally inspiring! 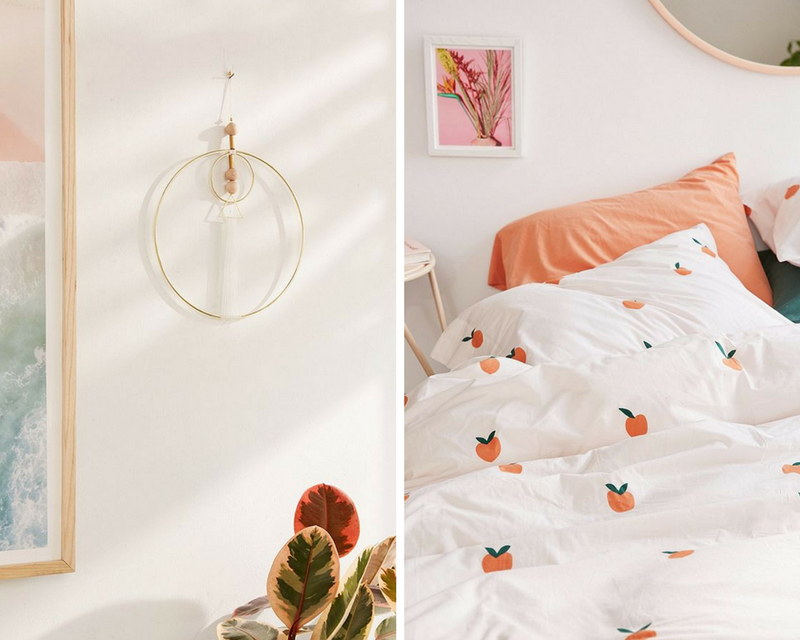 My boyfriend luckily likes the same Bohemian style as I do so we've been planning on turning our bedroom into a completely boho and meditative and peaceful place. Floor cushions to start!